Chefs, restaurateurs, and people I dine with are sometimes surprised by how I remember dishes that I had eaten years ago. As a food writer, you are expected to remember tastes. But why this food memory should go back that far is something even I don’t understand fully. One big reason, however, could be that those of us in the business of decoding foodand flavours are perhaps more tuned to eat mindfully. Of course, you do not need to be a food writer to appreciate the benefits of mindful eating. Remembering the flavours of what you are eating may or may not happen, if you pay attention to the bites. What will certainly happen, on the other hand, is better and healthier eating. If you are in the habit of eating a bowl of meal in front of the telly, watching your favourite show, abandon it right away. Take some time out, sit at a table and munch slowly, savouring each flavour and the experience. All nutritionists will tell you that one reason why we land up making bad food choices is because of emotional eating. Feeling low: dig into that bag of chips and wine. Feeling bored: hog on instant noodles. Feeling stressed: reach for that bar of chocolate… All these are examples of not eating mindfully. As is eating on automation—ignoring your body cues, following set patterns and timings and eating when you are not hungry. Or, skipping meals and then eating when you are ravenous. You cannot pay attention to food when your instinct is screaming at you to tank up immediately! Fortunately, with more emphasis on eating well and living well, many of us are gradually moving towards mindful eating. Go to upscale restaurants, and you will realise that consuming habits in India have been changing and the premium is now on quality and not quantity. People, at least those affluent enough to take care of themselves, are now increasingly careful of each morsel they put in. Which is also why we have those sundry fads dominating the business of food and restaurants: superfoods like quinoa, goji berries, chia seeds, spirulina, and seaweed have busted the charts in global popularity. And while you may have started on some of these, mindful eating also means that you relook at your foods and where they are sourced from; ingredients that notch up the carbon miles may not be a great idea. Go local. Consumers mindlessly following food fads is one of my favourite bug bears. Why can’t we apply ourselves a little more, not follow the herd and think of healthy local ingredients themandi near your house may stock? The larger point about healthy eating is consuming fresh food, grown and sourced in healthy, non-harmful ways. And the many local, seasonal Indian ingredients offer us enough of a choice to be able to do this. 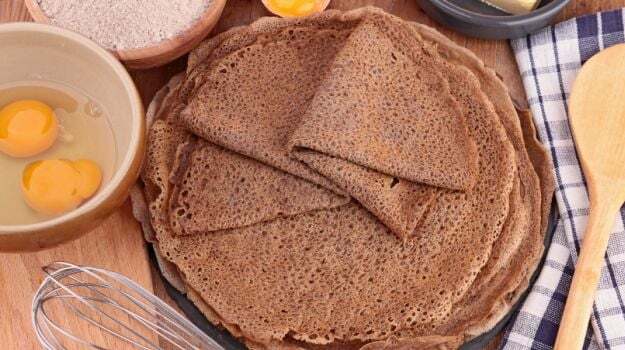 If quinoa is gluten free, so is buckwheat flour. Kuttu ka atta, the flour many Indian homes have traditionally used as vrat ka khana, fasting food, is an easy, inexpensive and local alternative that you can apply without paying an arm and limb for a fad-driven diet. It does not perhaps have the “complete plant protein” like quinoa. But a plate of beans can give you an equal quantity of that protein. 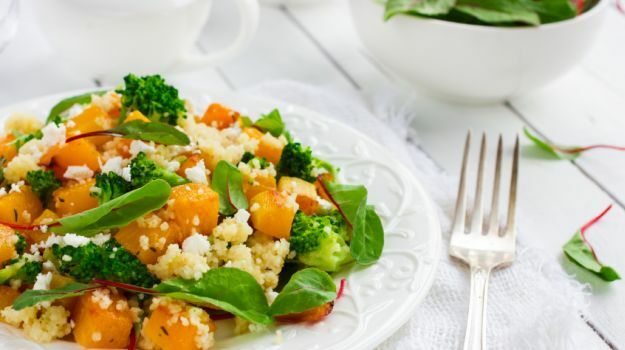 Millets that are found everywhere and inexpensively in the country (but have lost their popularity to wheat) are also gluten free and can be cooked in exactly similar ways as quinoa. Similarly, kale and goji berries may be fashionable but instead of paying those huge mark-ups to food marketers, why should we not choose local, seasonal strawberries that are also packed with phytochemicals, and simple palak, spinach greens to be part of our daily diets? Traditional practices of cooking with only seasonal ingredients in Indian kitchens or consuming only seasonal fruit ensured a balanced and nutritious diet round the year. Eating guavas and oranges in winter, melons and mangoes in summer, singhada in the monsoon are all instances of mindful eating that we need to get back to. Local gastronomy is a big trend in the world of gourmet dining. But what the champions of “Californian” style food, or Noma tourists tend to forget is that all these “high cuisines” are based on front-footing local ingredients. Having arctic ants and foraged foods on fancy plates may be utterly chic. But the chic-ness is firmly rooted in a philosophy of food that takes pride in the local context: instead of importing lemon from southern Italy, use arctic ants to give the same flavour! Cooking fresh food in the kitchen instead of relying on processed foods is also a healthy traditional practice that we need to go back to. 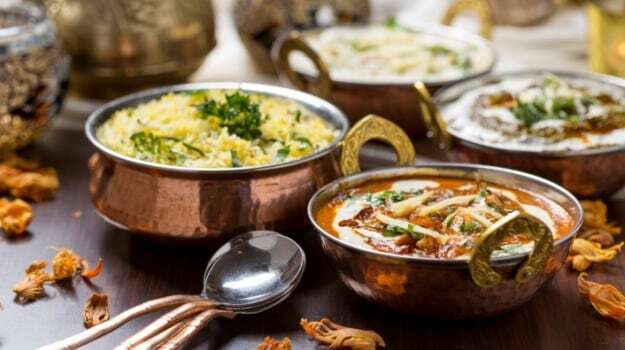 Cooking up MasterChef inspired dishes may be a new fad in metropolitan India and if you are an inventive cook, you may want to rustle up some of those dishes for your parties. But simple, home-style dishes have their own virtues. The spices that we used with particular vegetables, the many cooking oils of each region flavourful and nutritious in different ways, slow cooking techniques… all the ways in which our families cooked before the globalisation of the palate began changing our ways of eating were particularly attuned to our bodies and minds. 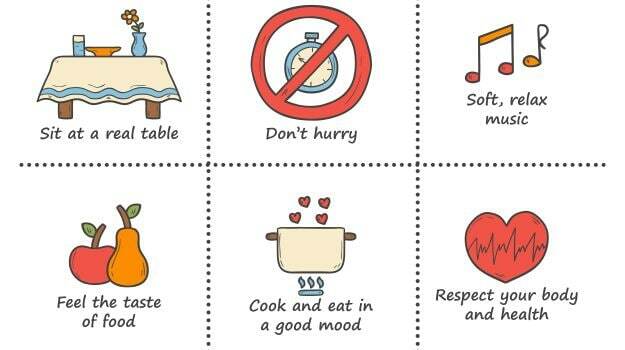 To be cognizant of these is mindful eating too. And healthy. About the Author: Anoothi Vishal is a columnist and writes on food for The Economic Times and NDTV Food, and runs the blog amoveablefeast.in. She tracks the business of restaurants and cuisine trends and also researches and writes on food history and the cultural links between cuisines. Anoothi’s work with community-based cuisines led her to set up The Great Delhi Pop-Up three years ago, under which she promotes heritage, regional and community-based cuisines as well as researched and non-restaurantised food concepts. She has also been instrumental in reviving her own community’s Kayastha cuisine, a blend of Indo-Islamic traditions, which she cooks with her family and has taken across India to a diverse audience.